I may not have experience snow in South Korea because of visa denial, I experienced the Tokyo Winter Illumination back in 2015 during my solo travel. It was my first time to experience such cold weather that I was wearing four layers. But my intention of going to Japan was the autumn season although that time, a friend told me that December should be winter already. I was there last November 28 to December 7, 2015. When I arrived at the airport, I could feel the cold already. Again, I had my lost in translation moment as I don’t understand anything in Japanese. I booked the same place in Tokyo if you remember my 14 day-stay in Japan. The intense of excitement went up as I had no idea what to expect from the weather. My first outdoor experience of the cold weather gave me a headache. Too bad, I never had a face mask to wear. It was my first time to see my cold breath in the air. I found it amazing though as I just saw it only in the movies. Here’s a montage of photos and videos uploaded to YouTube. It’s a Vlog actually as I was talking there alone in front of the camera. The receptionist in my hostel suggested that I should check out the winter illumination at Roppongi. Before that, I also search some illumination scenes and found out Carretta Shiodome. Good thing, it’s just near to each other by train. That’s when I also visited the Tokyo Tower in person to end the night. You should download the app Tokyo Subway Navigation for Tourists. Since I visited Roppongi the first time I was in Japan, going there again was easy as pie. The moment I got out of the train station, I found the illumination already. The place was filled with Christmas lights. I was alone so I had several selfies with me. Then, I realized it was really difficult without a pocket wi-fi as I couldn’t check Google maps. It would be easier to get around with an internet connection using navigation. Related Article: How to Prepare Solo Travel in Japan? I took screenshots of my research on how to go to Carretta Shiodome Winter Illumination and I found it when I got out of the train station. Felt like I was walking in a winter wonderland. Traveling solo gave on a cold weather gave me some chills down my spine. It was amazing witnessing this with no pocket wi-fi with me. I was mindful wherever I go. Watching people while they were with their loved ones. Although I was alone, I wasn’t feeling lonely. Going to Tokyo Tower was one of my bucket lists for a single traveler like me. If couples go to Paris for the romantic moments at Eiffel Tower, be bitter no more for the solo travelers. Finally, I was able to see this in person and got a selfie. The first time I was in Tokyo, I just saw it from afar. Surprisingly, I got excited when I saw the Tokyo One Piece Tower. I am not a fan of One Piece anime but I saw the same thing from a friend’s photo on Facebook somewhere in Japan that she had a photo op with it. Well, I took the opportunity to have a photo with it. There’s a One Piece shop you can purchase some merchandise. For One Piece fans, the place is such heaven for you. Good thing I have a sense of direction as I was able to get back to my hostel without navigation. I was trying to remember everything and took photos of where I passed by. I’ve become so comfortable just getting around Tokyo. Tokyo is such a huge city I haven’t discovered the other places yet. For sure, Tokyo is my favorite city. 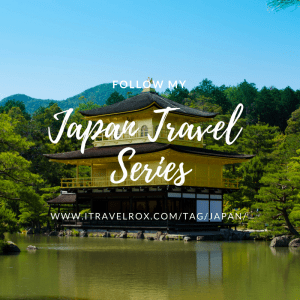 Don’t forget to follow my Japan Travel Series! This entry was posted in Blog, Photos, Travel and tagged Carretta Shiodome Winter Illumination, Japan, One Piece, Roppongi Midtown Christmas, Tokyo, Tokyo One Piece Tower, Tokyo Tower, Tokyo Winter Illumination. Bookmark the permalink.